Thanks to the growth in technology and the development of language learning apps, you can acquire new language skills in a short amount of time and from the comfort of anywhere. Great apps can range from free to a small monthly fee to the purchase of a $25 app. The best apps offer a range of features for various learning preferences. Here are three great ones to consider. Duolingo works by asking its language learners to translate real sentences that have been uploaded to their software. Users can vote on whether translations are correct. Once a document is fully translated, the one who uploaded it pays Duolingo. This keeps it free for the language learner. Memrise provides a combination of text, audio, and pictures to help you learn words and phrases. It offers the learner repeated exposure with the same phrase, which may or may not feel repetitive to a user. There is an option to listen to a phrase as many times as you need to hear and practice pronouncing it. Anki is a free desktop program that you can download to your computer. It uses a flashcard model to help you remember languages and other information. Anki has developed software that incorporates active recall testing (asking you questions just after you learned the information rather than waiting a period of time to ask) and spaced repetition (spreading out review of the information over time). The combination of the two means you are answering questions about the information you just learned and then answering questions on that same answer over time. For example, you may be reviewing the same information every day for three days. If you get it right every time, then you will start reviewing it every week. As you continue to answer correctly, the review questions are spaced out further and further apart. Anki is available for use with Android devices for free, but the IOS app is $24.99. Many users find this a small price to pay for mastering a language. If these three apps do not meet your needs, check out LingQ and Busuu. Both apps have free lessons available but require a purchase (or monthly fee) to progress beyond that. 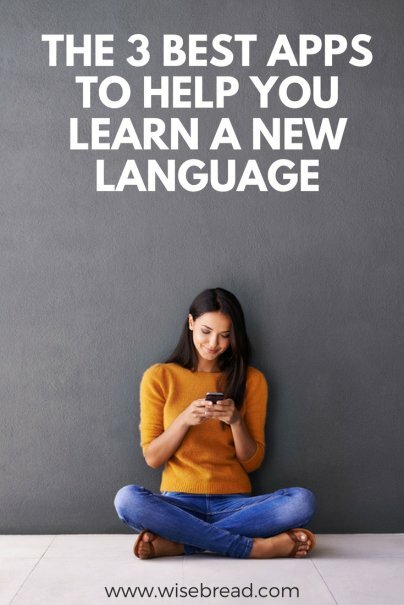 They are worth checking out if you are serious about learning a new language and don't mind investing money in the process. Whether you are hoping to brush up on what you learned in high school, looking to travel in the future, or need to master a new language, any of the apps mentioned here will bring you closer to your goal. Have you tried a master a new language? What worked for you? great app recommendations! I've been doing the classic "cd's in the car" method. It's taken forever to learn Italian, LOL. I have been thinking about learning a new language by computer app…but wasn't sure if it would really work. Now I think I should go ahead and take the plunge. Great article.